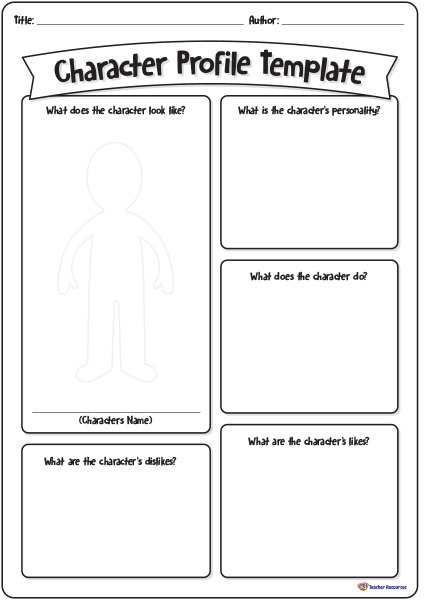 A template to use in the classroom when creating character profiles. Ideal for children to use when planning characters for imaginative texts. Print off a copy for each child in the class, alternatively laminate a class set for repetitive use. Children create a character profile for the main character in their story. Children use the template to record the character’s name, what the character looks like, the character’s personality, what the character does, what the character likes and what the character dislikes. What comes next? Children create a character profile for other characters in their story.